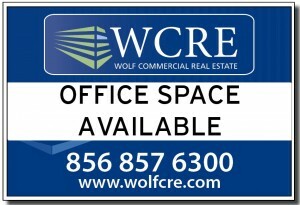 Wolf Commercial Real Estate represents Voorhees office space for buyers, sellers, owners and tenants. Our expertise in Voorhees commercial real estate listings and services is unmatched. The experienced team at our Voorhees commercial real estate brokerage firm provides ongoing detailed information about office space in Voorhees to clients and prospects to assure that they achieve their real estate goals. At Wolf Commercial Real Estate, a leading Voorhees commercial real estate brokerage firm, our Voorhees commercial real estate services encompass the highest quality of service and proven expertise. As the leading Voorhees commercial real estate broker, Wolf Commercial Real Estate helps owners sell and/or lease their office space in Voorhees through a defined marketing process that we develop and customize for each property. Our proven, effective marketing strategy works successfully to match buyers and tenants with available Voorhees office space. For companies and individuals looking to buy or lease new office space in Voorhees, the team at our Voorhees commercial real estate brokerage firm helps identify the Voorhees office space that best suits their needs. Our Voorhees commercial real estate experts ensure that the sale or lease terms for our clients’ new office space in Voorhees are the best match to their commercial real estate goals. For more information about Voorhees office space for sale or lease, please contact the team at Wolf Commercial Real Estate, the foremost Voorhees commercial real estate broker. WCRE is proud to have exclusively represented VONSAR, LLC in the exclusive sale and marketing of 1004 Laurel Oak Road, Voorhees, New Jersey to Quatro Voorhees, LLC. 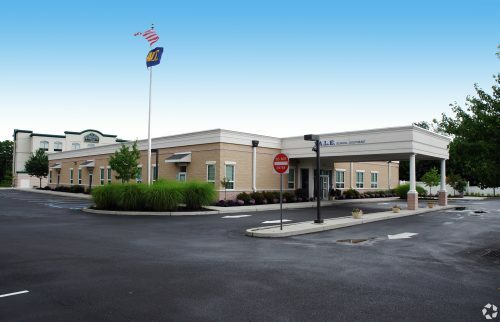 1004 Laurel Oak Road is a +/- 13,000 square foot free standing special purpose school building located in the heart of Voorhees and is surrounded by numerous medical and other educational facilities within the Voorhees Corporate Center. 1004 Laurel Oak will be converted into a high end DayCare use for Higher Ground Education. Christopher Henderson, Vice President & Principal and John Mozzillo, Director of Investment Sales for WCRE exclusively represented the seller of this transaction. For more information about this Voorhees office/flex space for sale or lease in the Voorhees Corporate Center at 1004 Laurel Oak Road Voorhees NJ or about any other Voorhees commercial properties for sale or lease, please contact the team at WCRE at 856-857-6300. Wolf Commercial Real Estate is a Voorhees commercial real estate broker that specializes in Voorhees commercial real estate listings and services. Wolf Commercial Real Estate, the leading Voorhees commercial real estate brokerage firm that specializes in Voorhees commercial real estate listings and services, is now offering premier Voorhees office/flex space for sale or lease in the Voorhees Corporate Center at 1005 Laurel Oak Road Voorhees NJ. This Voorhees professional office/flex space for sale or lease is housed in a single-story Voorhees office building. This Voorhees professional office building for sale or lease is suited for educational uses, back-office business operations, or as a health care facility. This Voorhees office/flex space for sale or lease is ideal for any general flex/office applications. The asking lease price for this professional office/flex space in Voorhees has been set at $10.00-$12.00/sf NNN and interested customers are asked to call for information on the asking sale price. This Voorhees professional office/flex space for sale or lease is being offered for June 2019 occupancy through Wolf Commercial Real Estate, a Voorhees commercial real estate broker with expertise in Voorhees commercial real estate listings and services. This Voorhees office building for sale or lease in the Voorhees Corporate Center at 1005 Laurel Oak Road Voorhees NJ features +/- 32,858 square feet of professional office/flex space in Voorhees. Building and monument signage are available at this Voorhees office/flex space for sale or lease. This Voorhees professional office building for sale or lease features a drive-in bay and tailgate loading. Sitting on a well-maintained and landscaped property, this Voorhees professional office/flex space for sale or lease provides easy access to Route I-295 and to the PATCO High-Speed Line. 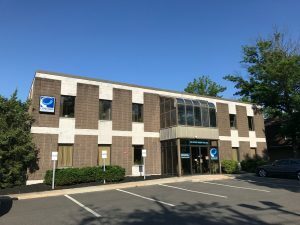 In addition, this Voorhees office building for sale or lease in the Voorhees Corporate Center at 1005 Laurel Oak Road Voorhees NJ sits between the major area roadways of White Horse Road and Haddonfield-Berlin Road (Route 561). More than 211,000 people reside within a five-mile radius of this professional office/flex space in Voorhees for sale or lease while the average household income in the same geographic area near this professional office/flex space for sale or lease in Voorhees is $93,955. This Voorhees professional office building for sale or lease is available through Wolf Commercial Real Estate, a Voorhees commercial real estate brokerage firm with expertise in Voorhees commercial real estate listings and services. For more information about this Voorhees office/flex space for sale or lease in the Voorhees Corporate Center at 1005 Laurel Oak Road Voorhees NJ or about any other Voorhees commercial properties for sale or lease, please contact Jason Wolf (856-857-6301; jason.wolf@wolfcre.com) or Christopher Henderson (856-857-6337; chris.henderson@wolfcre.com) at Wolf Commercial Real Estate, a Voorhees commercial real estate broker that specializes in Voorhees commercial real estate listings and services. WCRE is proud to have exclusively represented DJ Architecture in the leasing of 1,250 SF of office space at The Laurel Oak Corporate Center in Voorhees, New Jersey. DJ Architecture is a full service architectural design and construction management company based in Voorhees, New Jersey. DJ Architecture specializes in architectural design and construction documentation, sustainable design, space planning, existing building surveys, conceptual design, construction budgeting, master planning and 3D rendering for a variety of industries. 1010 Haddonfield Berlin Road, known as the Laurel Oak Corporate Center, is owned and managed by the Needleman Management Company and is situated in the heart of the Voorhees Business District. Ryan Barikian, Senior Associate with WCRE, exclusively represented the tenant in this transaction. Wolf Commercial Real Estate, the leading Voorhees commercial real estate brokerage firm that specializes in Voorhees commercial real estate listings and services, is now offering premier Voorhees office space for sale or lease at 1011 East Evesham Road Voorhees NJ. This Voorhees office space for sale or lease, ideal for an office or medical user, is in a highly visible Voorhees office building for sale or lease. This Voorhees office building for sale or lease sits on approximately 1.12 acres. This Voorhees office building for sale or lease at 1011 East Evesham Road Voorhees NJ features 3,668 square feet of office space in Voorhees. This office space in Voorhees is surrounded by some of the region’s most prestigious retail operations and health care providers and, in addition, there are numerous corporate office users nearby this Voorhees office space for sale or lease. This Voorhees office space for sale or lease is being offered for immediate occupancy through Wolf Commercial Real Estate, a Voorhees commercial real estate broker with expertise in Voorhees commercial real estate listings and services. Please call for more information on the asking sale price or the asking lease price on this office space in Voorhees. Conveniently located near I-295, Route 70, and the New Jersey Turnpike, this Voorhees office space for sale or lease has property frontage on three roads. The thoroughfares near this Voorhees office building for sale or lease at 1011 East Evesham Road Voorhees NJ are Evesham Road, Somerdale Road, and Haddonfield-Berlin Road, also designated as County Route 561. 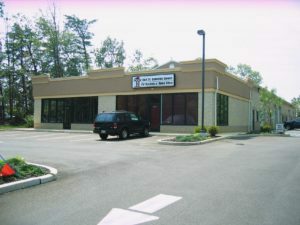 Parking is abundant at this Voorhees office space for sale or lease and there is building and pylon signage available at this Voorhees office building for sale or lease through Wolf Commercial Real Estate, a Voorhees commercial real estate brokerage firm with expertise in Voorhees commercial real estate listings and services. More than 238,000 people reside within a five-mile radius of this Voorhees office building for sale or lease while the average household income in the same geographic area near this Voorhees office space for sale or lease is $94,564. For more information about this Voorhees office space for sale or lease at 1011 East Evesham Road Voorhees NJ or about any other Voorhees commercial properties for sale or lease, please contact Jason Wolf (856-857-6301; jason.wolf@wolfcre.com) or Christopher R. Henderson (856-857-6337; chris.henderson@wolfcre.com) at Wolf Commercial Real Estate, a Voorhees commercial real estate broker that specializes in Voorhees commercial real estate listings and services. Wolf Commercial Real Estate, a premier Voorhees commercial real estate brokerage firm with expertise in Voorhees commercial real estate listings and services, is now offering Voorhees office space for sale at 513 Centennial Drive Voorhees NJ. This Voorhees professional office space for sale is a newly constructed office building. This Voorhees office building for sale has 6,700 square feet of professional office space for sale in Voorhees. This professional office space in Voorhees is part of a modern freestanding Voorhees office building for sale. Interior renovations were completed in 2017 at this Voorhees office space for sale. The asking sale price for this professional office space in Voorhees is $1,100,000 and this Voorhees office building at 513 Centennial Drive Voorhees NJ has a solar panel system on the roof. This Voorhees professional office space for sale is available for immediate occupancy through Wolf Commercial Real Estate, a Voorhees commercial real estate broker that specializes in Voorhees commercial real estate listings and services. This professional office space for sale in Voorhees is ideal for professional or medical use. Located near Haddonfield Berlin Road and White Horse Road, this Voorhees office space is also close to Route 70. In addition, this Voorhees professional office space offers easy access to I-295 and the New Jersey Turnpike. This Voorhees professional office space for sale is being brokered through Wolf Commercial Real Estate, a Voorhees commercial real estate brokerage firm with expertise in Voorhees commercial real estate listings and services. Nearly 186,000 residents live within a five-mile radius of this professional office space for sale in Voorhees and the average household income in the same area is $101,824. There is both building and monument signage available at this Voorhees office building for sale. In addition, this professional office space sits on a well maintained and landscaped property. This Voorhees office building for sale at 513 Centennial Drive Voorhees NJ is surrounded by some of the region’s most prestigious health care providers. There also are numerous corporate office users near this professional office space for sale in Voorhees. For more information about this Voorhees office space for sale at 513 Centennial Drive Voorhees NJ or about other Voorhees commercial properties for sale, please contact Christopher R. Henderson (856-857-6337; chris.henderson@wolfcre.com) or Jason Wolf (856-857-6301; jason.wolf@wolfcre.com) at Wolf Commercial Real Estate, a Voorhees commercial real estate broker. Wolf Commercial Real Estate is a premier Voorhees commercial real estate broker that provides a full range of Voorhees commercial real estate listings and services, marketing commercial offices, medical properties, industrial properties, land properties, retail buildings and other Voorhees commercial properties for buyers, tenants, investors and sellers. Please visit our websites for a full listing of Voorhees commercial properties for sale or sale through our Voorhees commercial real estate brokerage firm. Wolf Commercial Real Estate, a leading Voorhees commercial real estate broker with expertise in Voorhees commercial real estate listings and services, now has available premier Voorhees office space for lease at 1202 Haddonfield Berlin Road Voorhees NJ. This Voorhees professional office space for lease at 1202 Haddonfield Berlin Road Voorhees NJ has +/- 3,800 square feet of Voorhees professional office space for lease. This professional office space in Voorhees is a highly visible property on busy Haddonfield Berlin Road (Route 561). Individuals or corporations interesting in this Voorhees professional office space for lease will be joining multiple long-standing tenants in a well-established building. The asking lease price for this professional office space in Voorhees is $7.50/sf NNN and this Voorhees office space for lease is classified as a flex space. This Voorhees office space for lease is being offered for immediate occupancy by Wolf Commercial Real Estate, a Voorhees commercial real estate brokerage firm that specializes in Voorhees commercial real estate listings and services. There is ample parking in front of and at the side of this Voorhees professional office space for lease and this Voorhees office space for lease is near Routes 73, 295, and 30. Leasing opportunities for this professional office space in Voorhees are now available through Wolf Commercial Real Estate, a leading Voorhees commercial real estate broker with expertise in Voorhees commercial real estate listings and services. This Voorhees office space for lease is divided into a 3,100-sf warehouse and 750 sf of office space as well as 750 sf of deck and storage space that sits above this Voorhees office space for lease. This Voorhees office space for lease consists of three private offices and a conference room. In addition, this professional office space for lease in Voorhees has two garage bays measuring 12 feet in height. For more information about this Voorhees office space for lease at 1202 Haddonfield Berlin Road Voorhees NJ, or about any other Voorhees commercial properties for sale or lease, please contact Ryan Barikian (856-857-6307; ryan.barikian@wolfcre.com) at Wolf Commercial Real Estate, a Voorhees commercial real estate brokerage firm. Wolf Commercial Real Estate, a full-service CORFAC International brokerage and advisory firm, is a premier Voorhees commercial real estate broker that provides a full range of Voorhees commercial real estate listings and services, property management services, and marketing commercial offices, medical properties, industrial properties, land properties, retail buildings, and other Voorhees commercial properties for buyers, tenants, investors and sellers. Please visit our websites for a full listing of Voorhees commercial properties for lease or sale through our Voorhees commercial real estate brokerage firm. Wolf Commercial Real Estate, the leading Voorhees commercial real estate brokerage firm that specializes in Voorhees commercial real estate listings and services, is now offering premier Voorhees office space for sale or lease in the Voorhees Corporate Center at 1004 Laurel Oak Road Voorhees NJ. This Voorhees professional office space for sale or lease is housed in newly constructed, modern Voorhees office building for sale or lease. 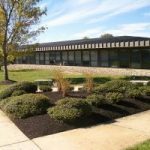 This Voorhees professional office building for sale or lease is a well-maintained and landscaped property. The asking sale price for this professional office space in Voorhees is $1,950,000 (or $148.95 per square foot) while the asking lease price has been set at $20.00/sf gross plus utilities and janitorial. This Voorhees professional office space for sale or lease is being offered for immediate occupancy through Wolf Commercial Real Estate, a Voorhees commercial real estate broker with expertise in Voorhees commercial real estate listings and services. This Voorhees office building for sale or lease in the Voorhees Corporate Center at 1004 Laurel Oak Road Voorhees NJ features +/- 13,092 square feet of professional office space in Voorhees. 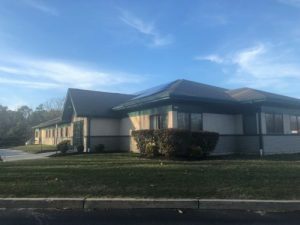 This Voorhees professional office building for sale or lease is ideal for adult and/or child daycare and this Voorhees office space for sale or lease also would be appropriate for any educational or medical uses. 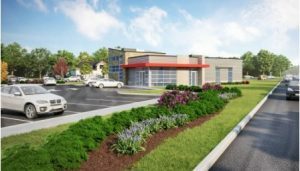 Located between White Horse Road and Haddonfield Berlin Road (County Route 561), this Voorhees professional office space for sale or lease provides easy access I-295, Route 70, and the New Jersey Turnpike. In addition, this Voorhees office building for sale or lease in the Voorhees Corporate Center at 1004 Laurel Oak Road Voorhees NJ is surrounded by some of the region’s most prestigious health care providers and corporate office users. 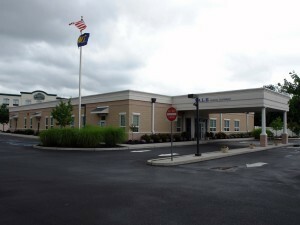 Parking is abundant at this Voorhees office space for sale or lease and both building and monument signage are provided at this Voorhees professional office building for sale or lease through Wolf Commercial Real Estate, a Voorhees commercial real estate brokerage firm with expertise in Voorhees commercial real estate listings and services. Tenants will find an outdoor play area, large classrooms, and a covered entrance at this professional office space in Voorhees and more than 28,000 vehicles a day pass through the intersection of Lakeview Drive North and Haddonfield Berlin Road near this Voorhees professional office space for sale or lease. For more information about this Voorhees office space for sale or lease in the Voorhees Corporate Center at 1004 Laurel Oak Road Voorhees NJ or about any other Voorhees commercial properties for sale or lease, please contact Christopher Henderson (856-857-6337; chris.henderson@wolfcre.com), John Mozzillo (856-857-6304; john.mozzillo@wolfcre.com), or Jason Wolf (856-857-6301; jason.wolf@wolfcre.com) at Wolf Commercial Real Estate, a Voorhees commercial real estate broker that specializes in Voorhees commercial real estate listings and services. Wolf Commercial Real Estate, a full-service CORFAC International brokerage and advisory firm, is a premier Voorhees commercial real estate broker that provides a full range of Voorhees commercial real estate listings and services, property management services, and marketing commercial offices, medical properties, industrial properties, land properties, retail buildings and other Voorhees commercial properties for buyers, tenants, investors and sellers. Please any of the numerous Wolf Commercial Real Estate websites for a full listing of Voorhees commercial properties for lease or sale through our Voorhees commercial real estate brokerage firm. 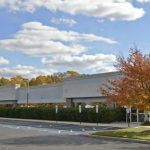 Wolf Commercial Real Estate, a premier Voorhees commercial real estate brokerage firm with expertise in Voorhees commercial real estate listings and services, is now offering a Voorhees office building for sale at 520 Burnt Mill Road Voorhees NJ. This Voorhees professional office space is a strong investment opportunity as it is a fully leased, two-story Voorhees office building for sale. This professional office space for sale in Voorhees contains a total of +/- 9,200 sf, and interested clients will find an excellent return on investment related to this Voorhees office space for sale with a 9.2 percent cap rate. The asking sale price for this professional office space for sale in Voorhees is $1,100,000 and this Voorhees office building at 520 Burnt Mill Road Voorhees NJ sits on approximately .73 acres. In addition, the long-term tenant at this professional office space for sale in Voorhees has excellent financials. This Voorhees office building for sale is available for immediate occupancy through Wolf Commercial Real Estate, a Voorhees commercial real estate broker that specializes in Voorhees commercial real estate listings and services. This professional office space for sale in Voorhees is an excellent sale/leaseback investment opportunity with a seven-year term. While this Voorhees office space is close to I-295, this Voorhees professional office space also is conveniently located to the PATCO High-Speed Line. This Voorhees office building for sale is being brokered through Wolf Commercial Real Estate, a Voorhees commercial real estate brokerage firm with expertise in Voorhees commercial real estate listings and services. This professional office space for sale in Voorhees features both directory and suite signage and there is ample parking at this Voorhees office building for sale that is adjacent to the Voorhees Town Center retail shopping, dining, and entertainment center. For more information about this Voorhees office space for sale at 520 Burnt Mill Road Voorhees NJ or about other Voorhees commercial properties for sale or lease, please contact John T. Mozzillo (856-857-6304; john.mozzillo@wolfcre.com) or Jason Wolf (856-857-6301; jason.wolf@wolfcre.com) at Wolf Commercial Real Estate, a Voorhees commercial real estate broker. The people of Bucks County surely have mixed feelings about the info here. It’s good to have these projects done because they relate to the schools. Who doesn’t want good schools for their children? It’s a lot of money to spend, though, and that money has to come from somewhere. Two major real estate projects in Bucks County – the construction of a new $52.9 million middle school and the $47.9 million upgrades to another – will reportedly be complete by July 2018. 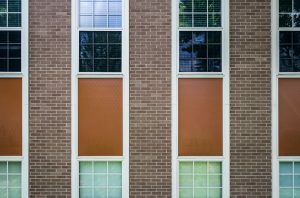 The school district still needs to borrow another $20 million to complete the projects, the Bucks County Courier Times said. A school district official announced at a facilities committee meeting both projects should be finished by July of next year.